If you have teeth missing from your smile, you may find it difficult to be confident in your smile. Aside from being aesthetically displeasing, having missing teeth can be detrimental to the rest of your smile, as your teeth will begin to shift in order to close the space. Dr. Thomas Weil and Dr. Steve Koo understand the importance of having a complete smile, which is why they offer dental implants to their patients. Dental implanting is a more permanent solution to fixing your gaps as well as acts as your natural teeth. The process begins with a consultation with our doctors, where they can fully assess your smile in its current state. They will ask you about your long-term goals regarding your smile, and it will give you an opportunity to bring up any questions or concerns you may have about the procedure. 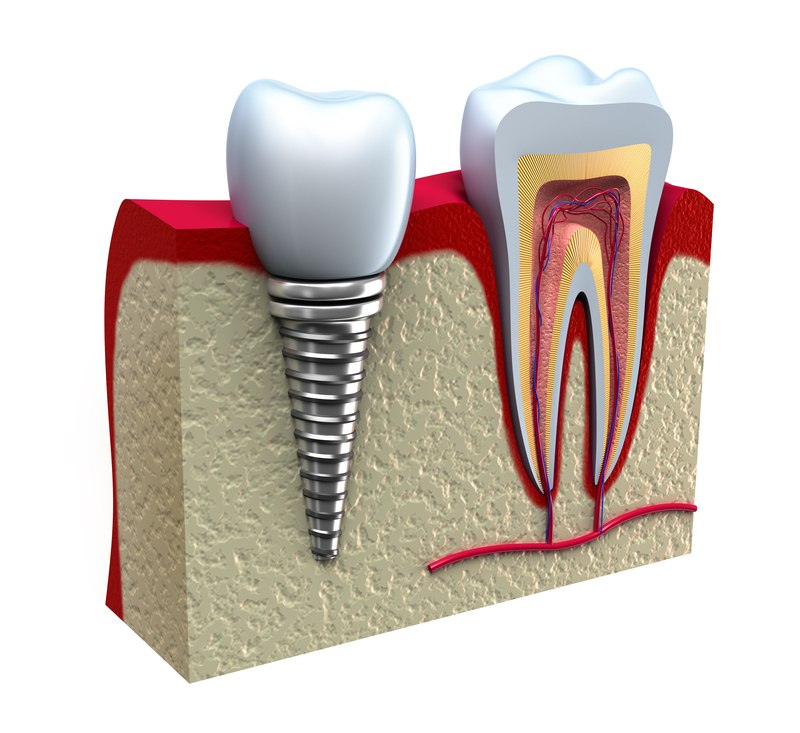 If you are a candidate for dental implants, the doctors will embed a titanium screw into your jaw. This screw will act as a new tooth root, and will fuse with your natural bone over time. After that, the abutment is added, which is basically a support system for the screw and the crown. The tooth-resembling crown is added at the end, restoring your smile to its true brilliance! Dental implants are beneficial in many ways, but one of the more important reasons is because it will give you the confidence back you may have lost. People often consider a smile a first impression, and when you are proud of your smile, that confidence had the capacity to leak into many areas of your life. If you have any questions on how Drs. Weil and Koo can help rejuvenate your smile, make an appointment, and we’d be glad to help!